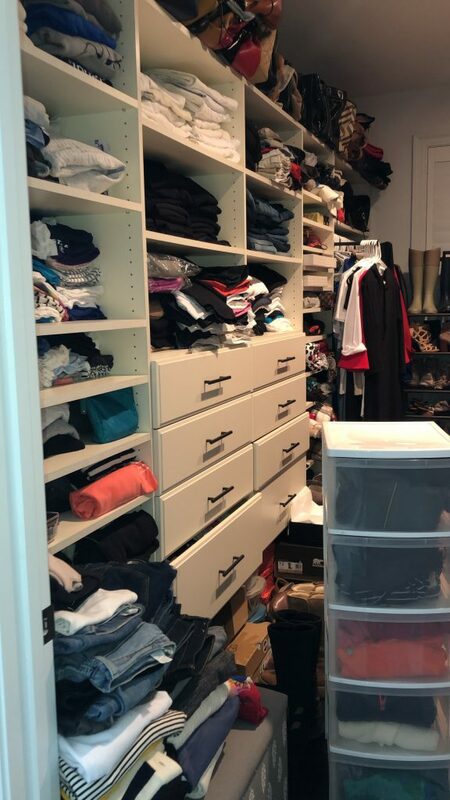 During the Christmas break….I wanted to start off 2019 with an ORGANIZE HOME!!! 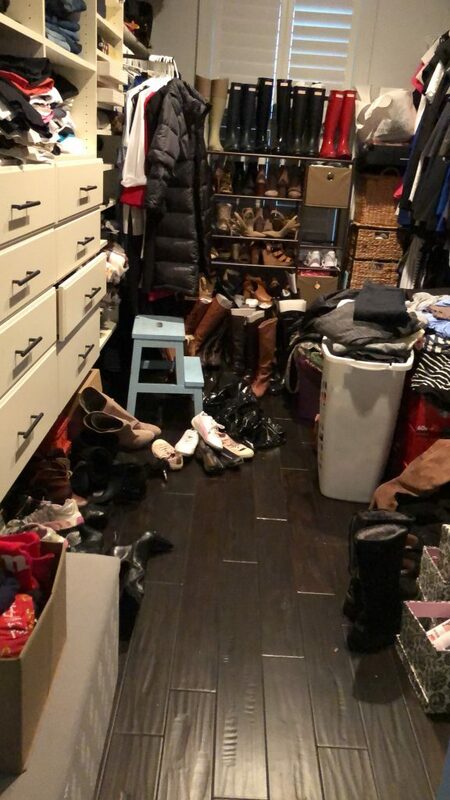 So…I started to declutter a little bit everyday. I started off with the REFRIGERATOR!!! I EMPTIED out everything…wipe it down and READ every label to see if I had any expire condiments…or items. Next, I moved to my pantry FREEZER!! OH MY GOODNESS!!! Seems like it was a bottomless pit!!! I finally got a chance to wipe it down and throw away things that I wasn’t gonna eat. Throughout the years…people have given me food that I don’t eat, like…deer meat, certain fish, or chicken from their farm. I felt bad so I just toss it in there and I NEVER got around to cooking it. So …I toss it all out. I made this magnet chart on the side of my freezer ….listing the items that I did have in the freezer currently so that I can start to meal plan around those items until my freezer gets EMPTY!! Next, I moved on to the cabinets/drawers in my kitchen…these didn’t look so bad because I usually clean and organize it every night. This was a VERY simple process. 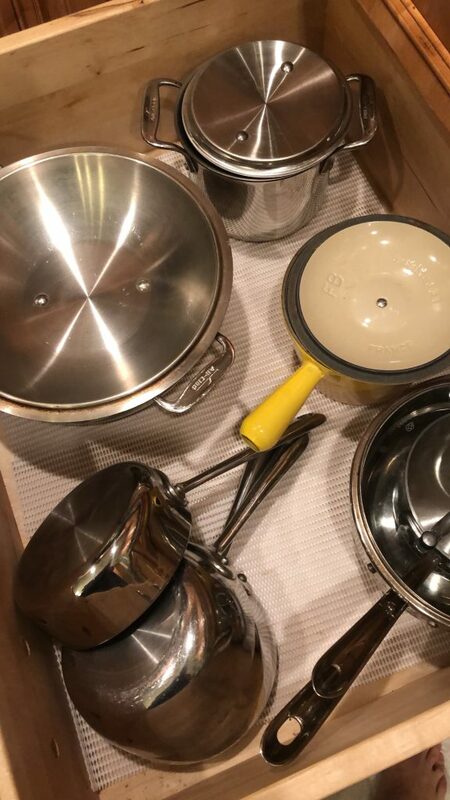 My pots and pan got a little tidying up. 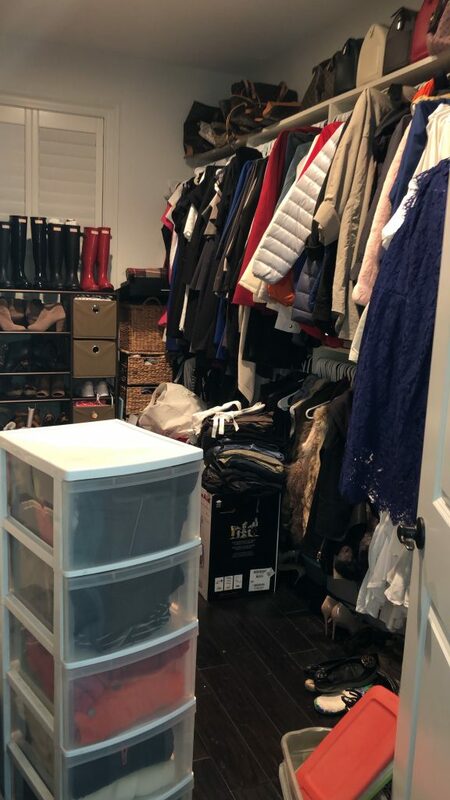 After moving out a few items ….STAY TUNE!!! So…this brings me to DINNER every night. I have to try to make something easy and FAST but STILL have to taste good…and I am TRYING to use up what I have in my freezer. 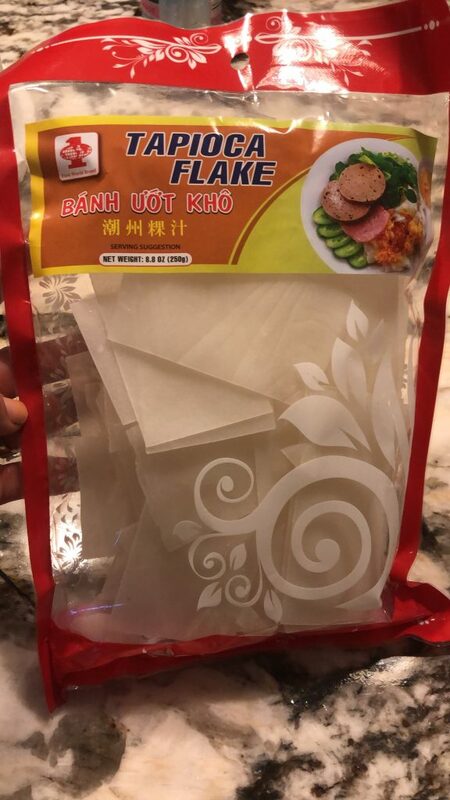 Tonight, I am making banh uot kho from a bag. 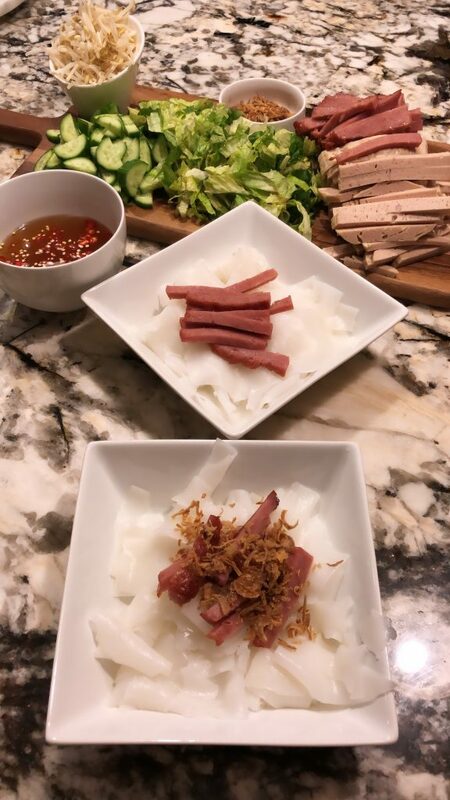 It literally took me less than 20 minutes to cook the banh uot kho/tapioca flakes and cut up all the vegetables and meat up. I already had the fish sauce pre-made. I used left-over nem nuong (pork meat) that I had the night before. 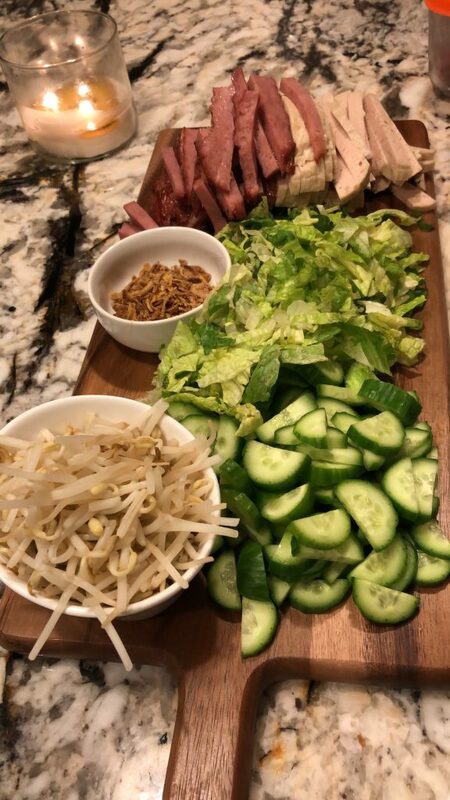 If you don’t have time to make your own nem nuong…they sell them in the freezer section at the Asian market..take about 20-30 minutes to bake..depending on the temperature and how you prepare the meat. Takes 20 minutes if you roll the pre-made nem nuong into a golf size ball. But if you leave the whole slab in a meatloaf shape …it would take around 30-45 minutes at 350 degrees. This is the brand of tapioca flake that I used..this was what my Asian market carries. I know that they have other brands. Cook the tapioca flakes according to package. This particular brand that I used said to cook it for 5 minutes in boiling water then take it out and shock it in cook water. I took a big stock pot and filled it 3/4 ways up and put it on medium high heat. Once the water starts to boil..I pour in the 2 bags of tapioca flakes and stir it around so it doesn’t clump up and all stick together. I put my timer on for 5 minutes. Once the timer went off…I took the pot off the stove and poured it into a colander and rinse it with COLD WATER. Then I added a little olive oil to the COOKED tapioca flakes and kinda separate the pieces so it doesn’t clump up. I plated it and garnish with what I liked…I love making this dish because everyone can choose what they want on it. 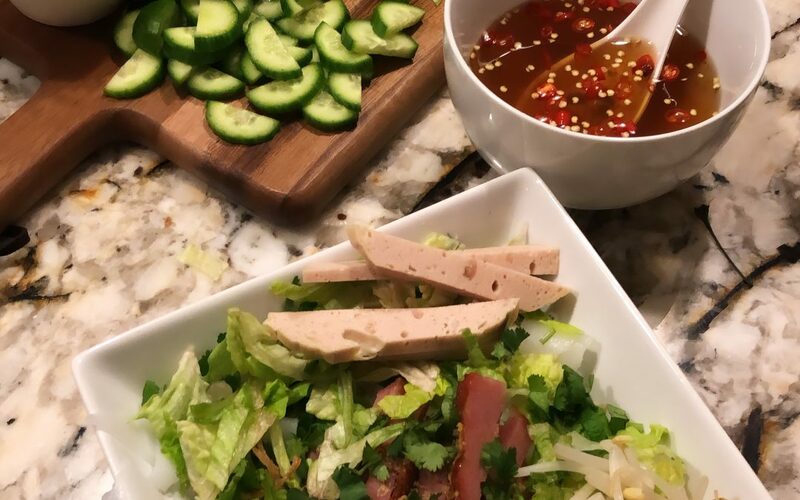 I have some of my kids want sliced cucumbers…others want shredded lettuce etc. You can put any type of meat that you like on here. When I go to this restaurant in Houston, TX I like it with thit nuong (grilled pork meat). So, it is all up to you what you like on it. Its such a great dish to make that takes no time to prepare BUT STILL taste DELICIOUS!!! SIDE NOTE: You can saute ground minced pork with shitake mushroom and add this to the banh uot kho.